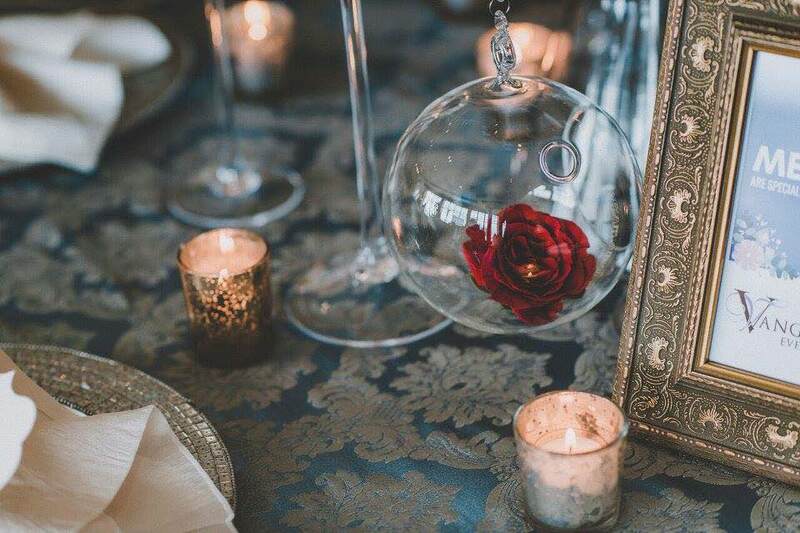 We had an amazing time at the wedding event of the year – an Evening of Wedding Bliss at Bella Collina! 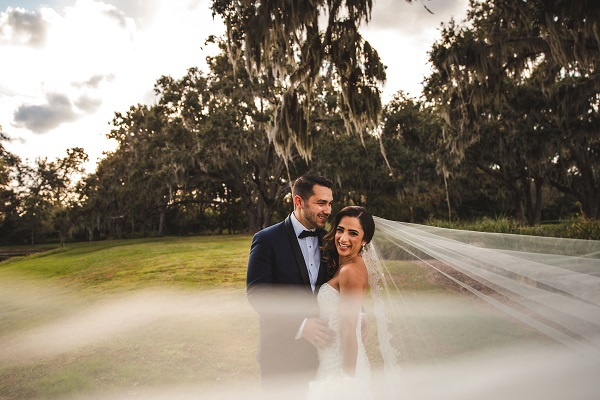 Central Florida’s best and brightest vendors came together to make the night a huge success, and it showed through every moment. 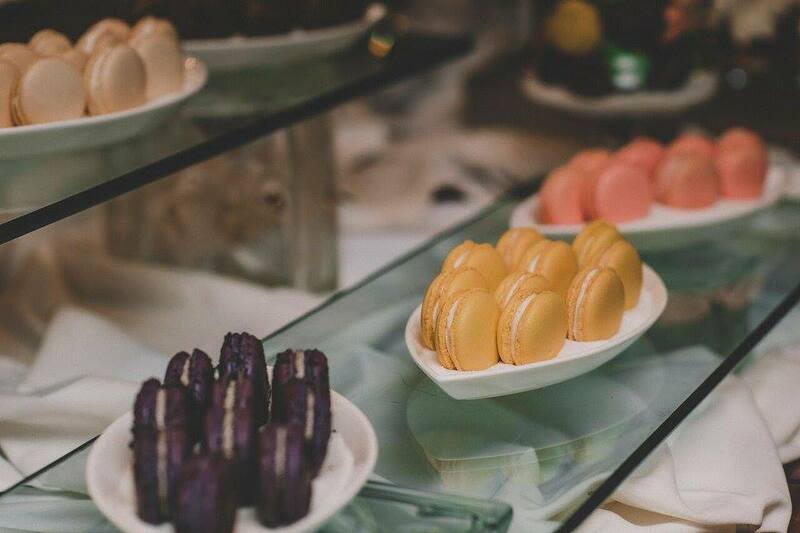 KV Photography took many stunning photos of the event, and we’re happy to share! 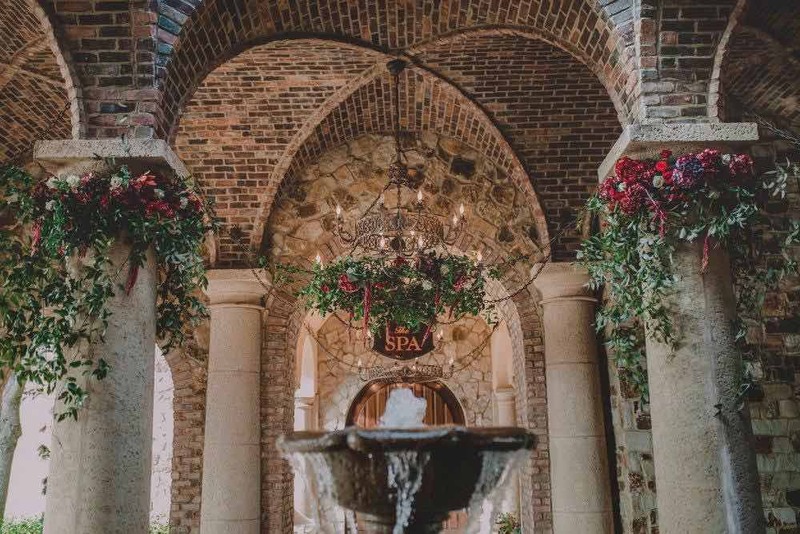 Bella Collina’s Tuscan-inspired architecture was breathtaking in the evening light, and the live music was like the cherry on top. 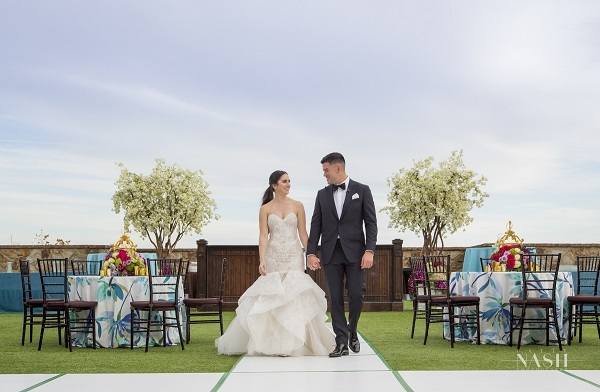 Attendees admired the beauty of the venue as they walked through the event, enjoying decadent treats and taking in all of the gorgeous dresses, tables, and floral creations. Everything about the evening was beautiful, but my favorite part was getting to show off my table designs in the ballroom, of course! 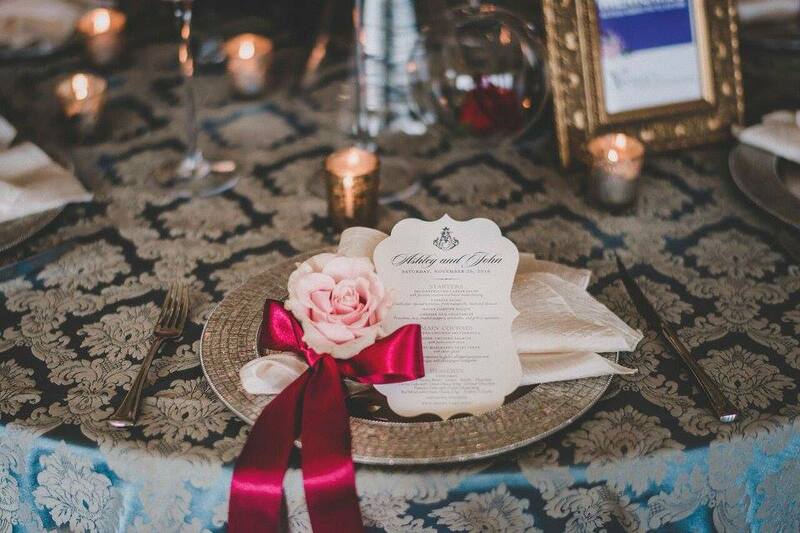 Beautifully patterned linens topped the tables, and lit gold tea light candles gently illuminated every little detail. 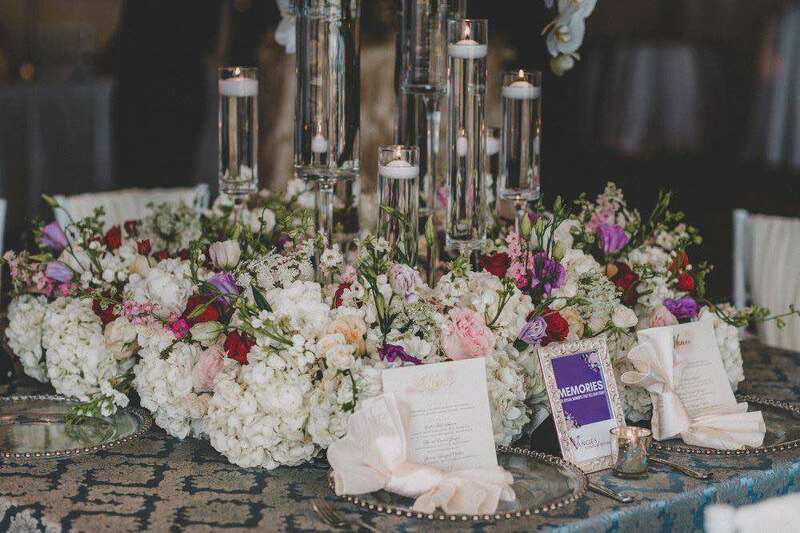 A floral arrangement in cream, blush, red, and purple, and rich red roses towered over the table display, accented with dangling baubles. 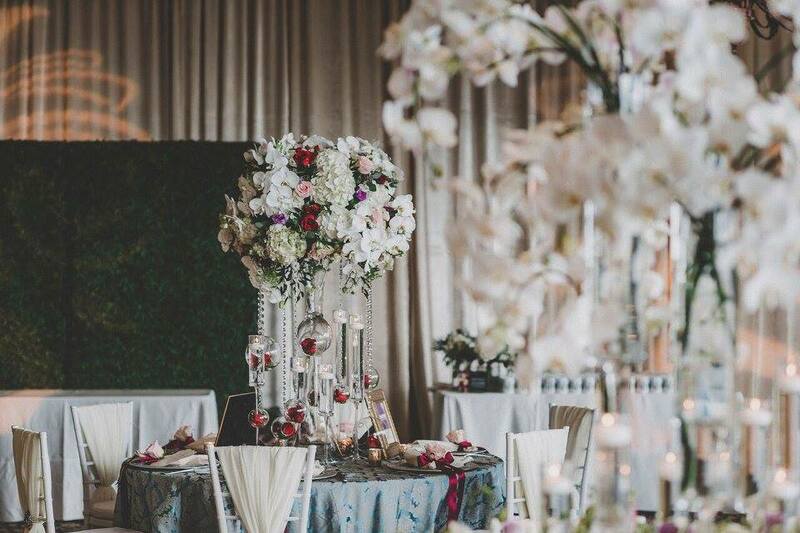 Tall floating candles and lush floral rested atop the other table, drawing the eye with subtle, sophisticated beauty. 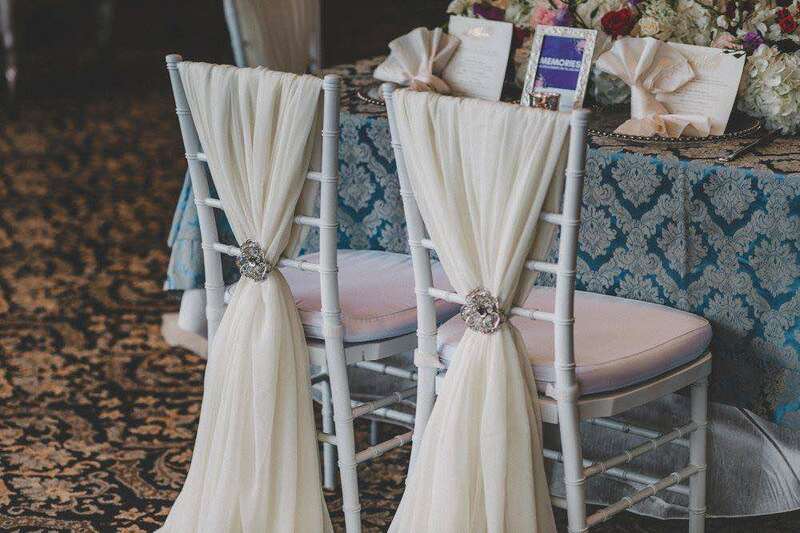 And for the finishing touch – ivory chairs were draped in cream fabric and jewels, creating a regal effect. 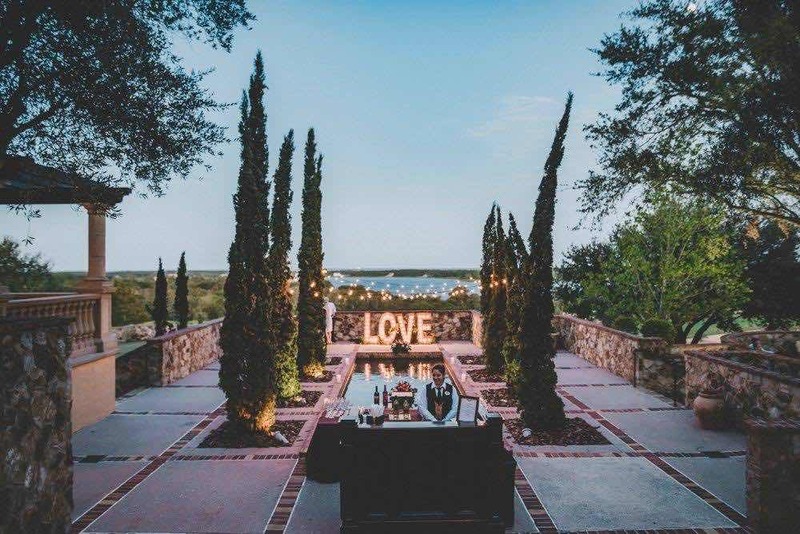 As an Evening of Wedding Bliss at Bella Collina drew to a close, guests lounged outdoors in vintage furniture, waiting for the grand finale. Fireworks brightened up the night sky, the perfect finish to a wonderful evening. 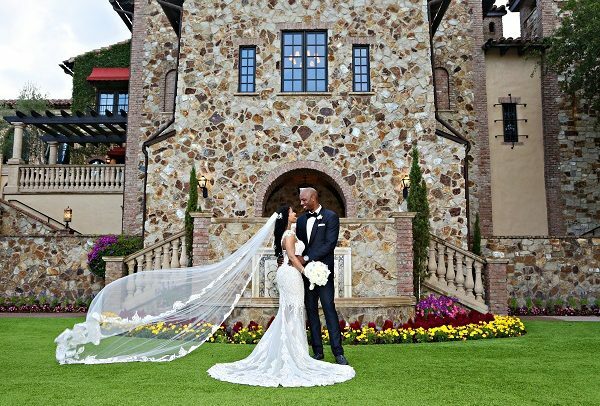 We’d like to extend a heartfelt thank you to everyone who made our Evening of Wedding Bliss at Bella Collina such a success!